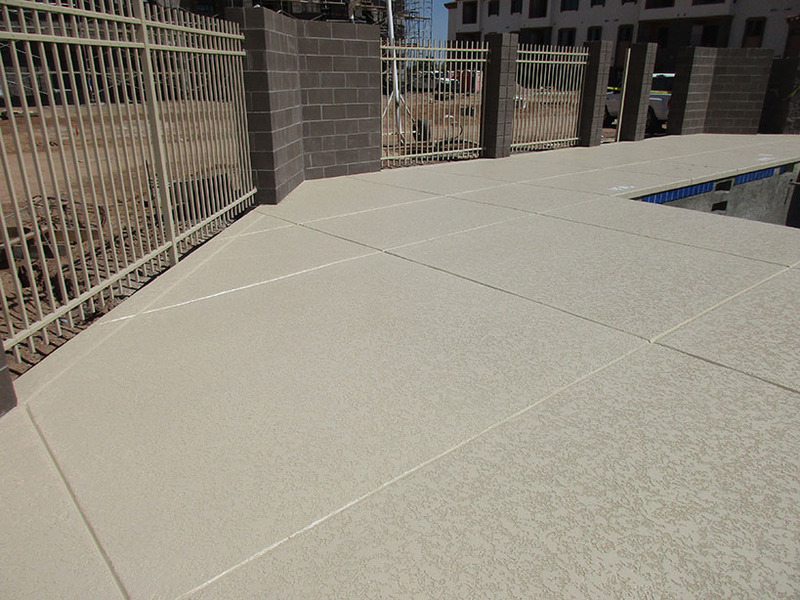 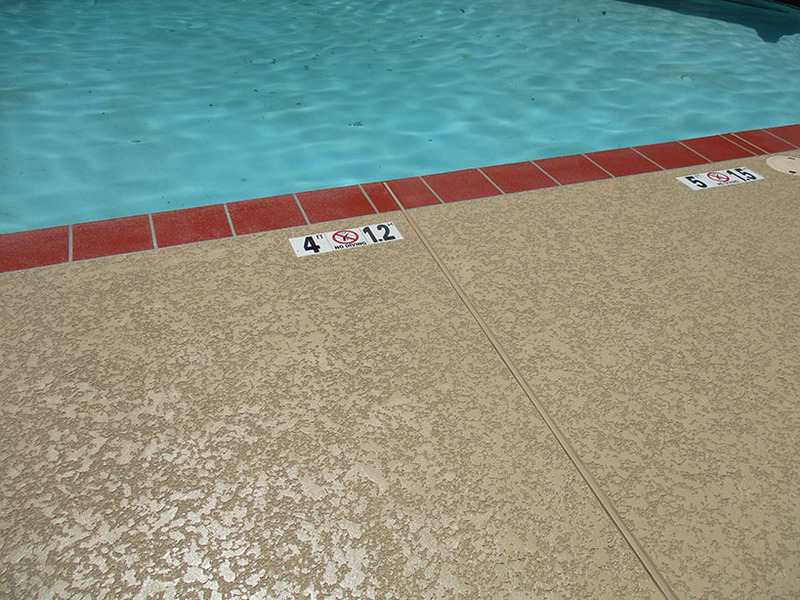 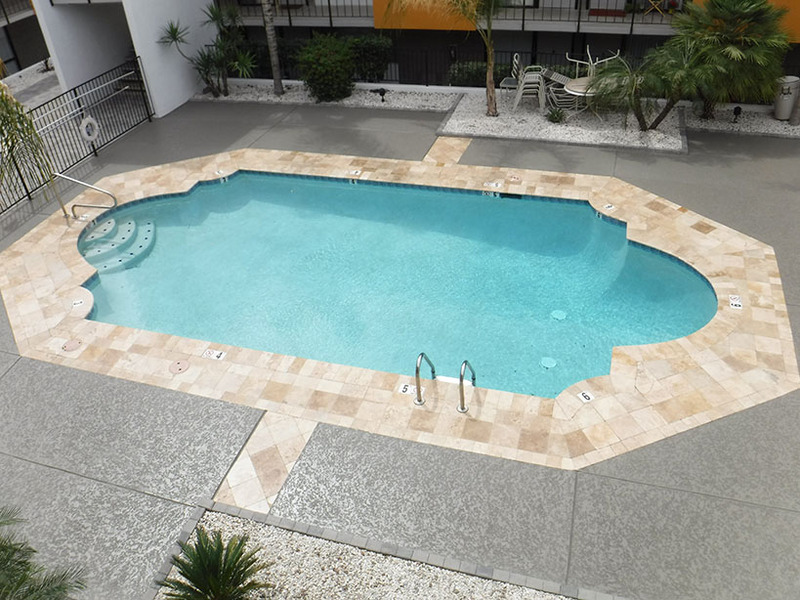 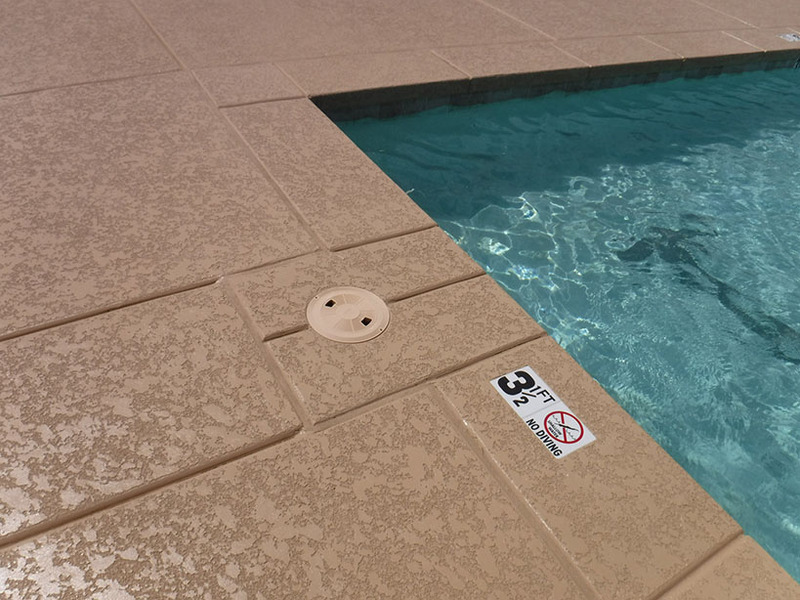 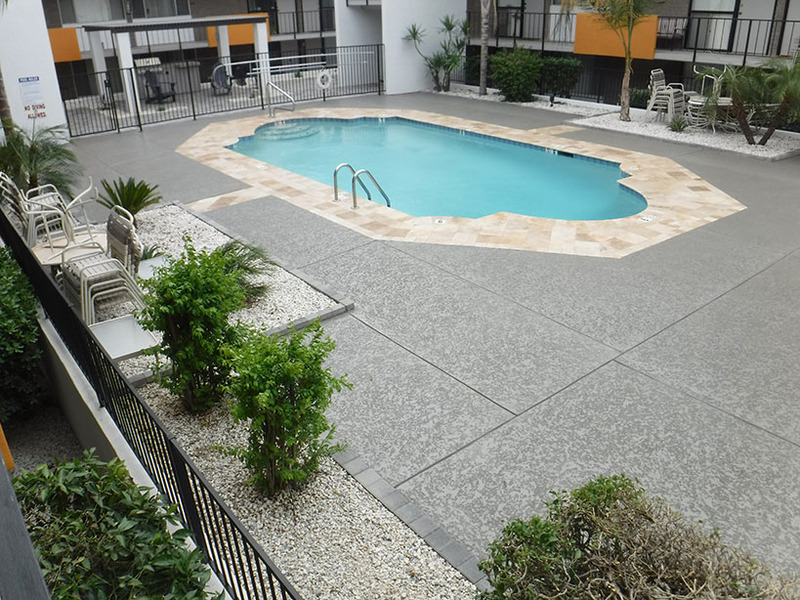 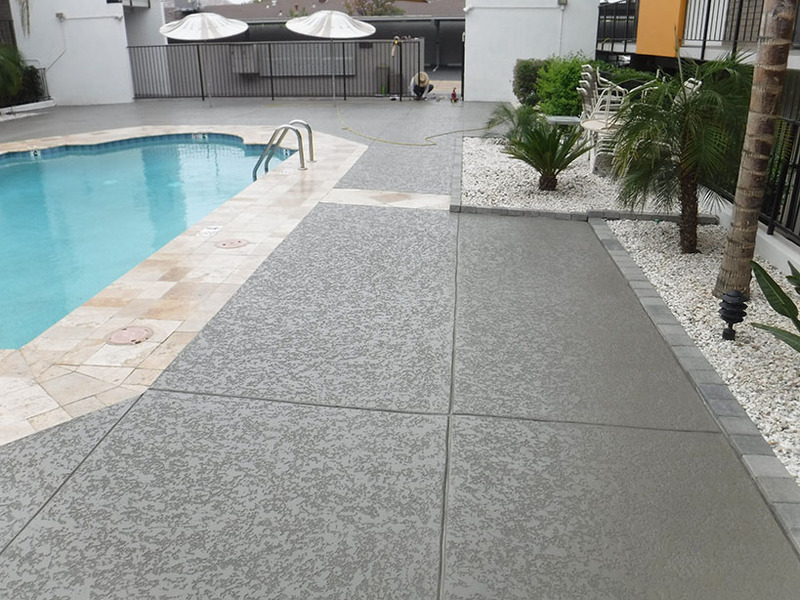 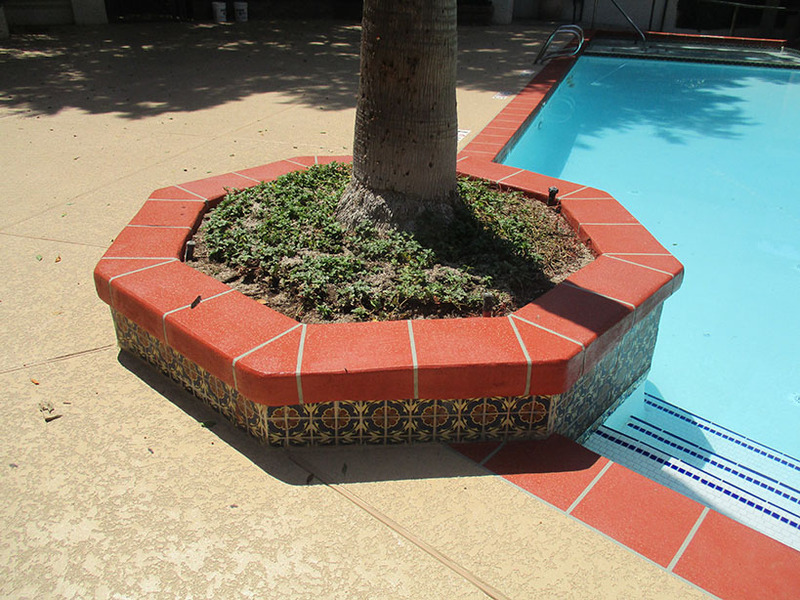 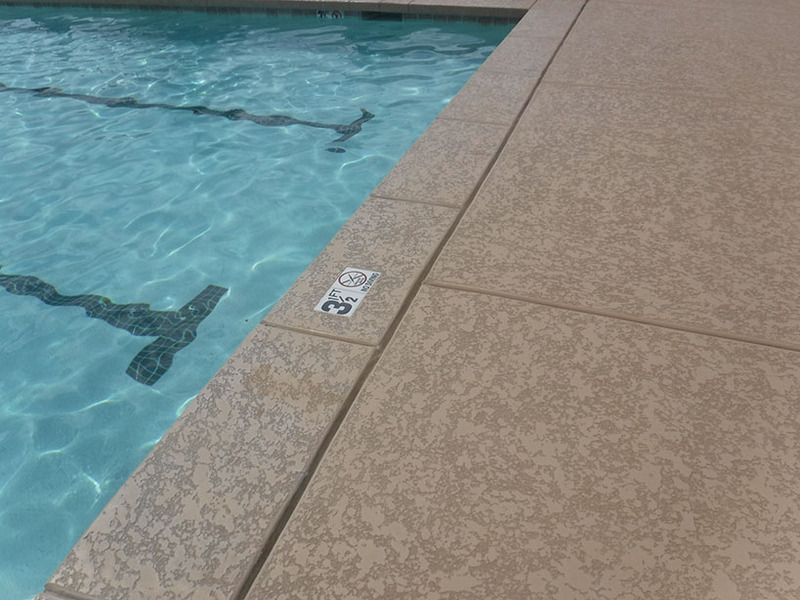 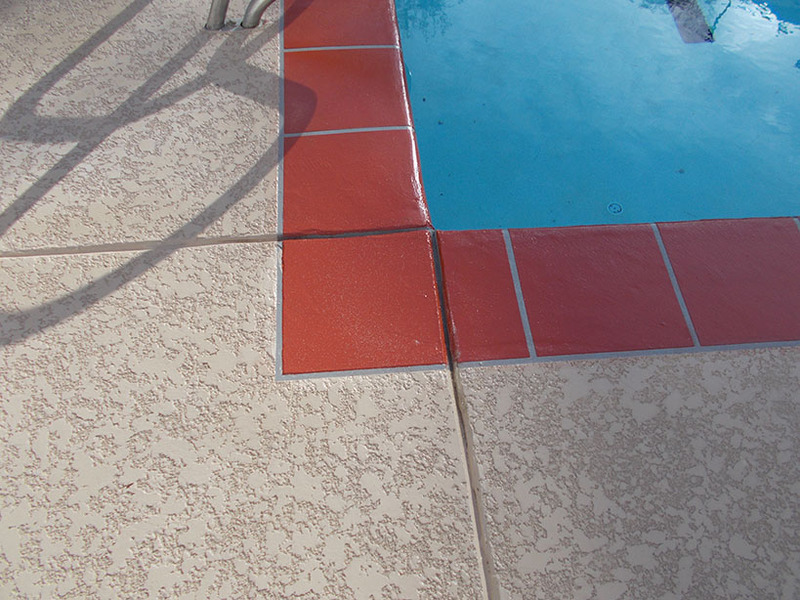 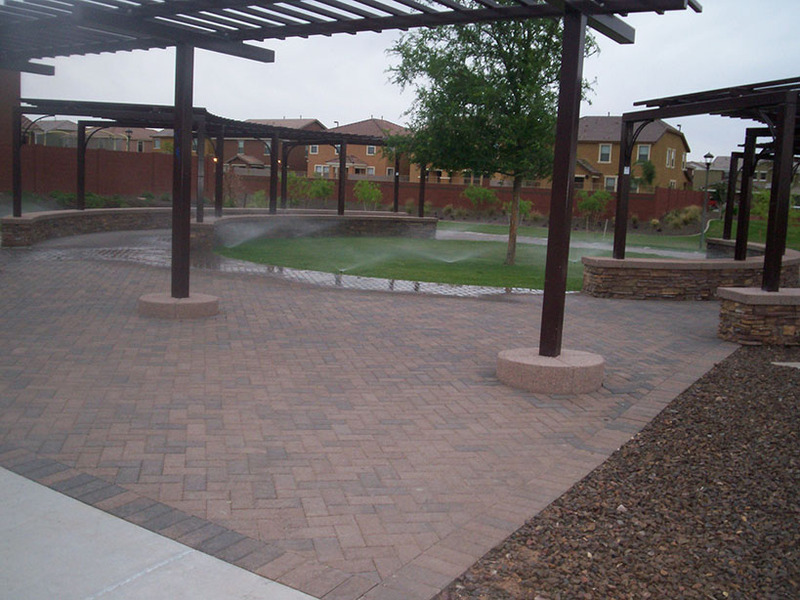 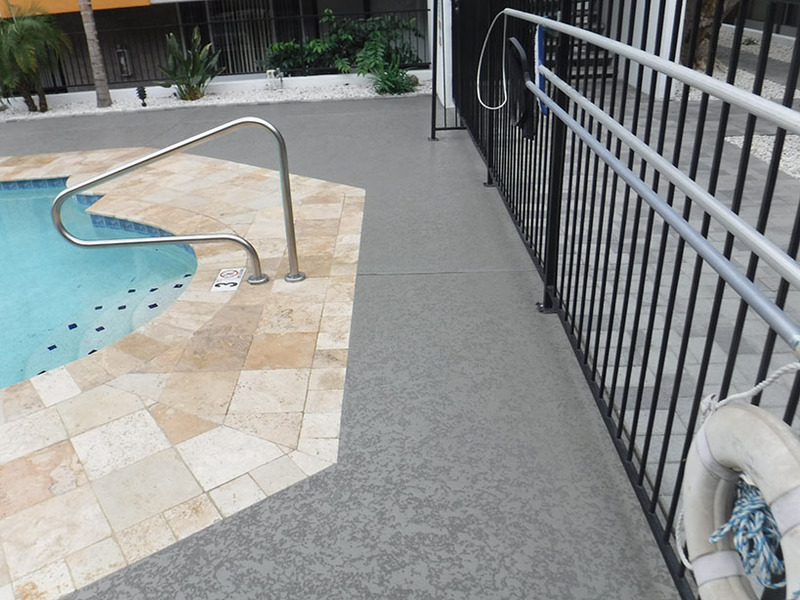 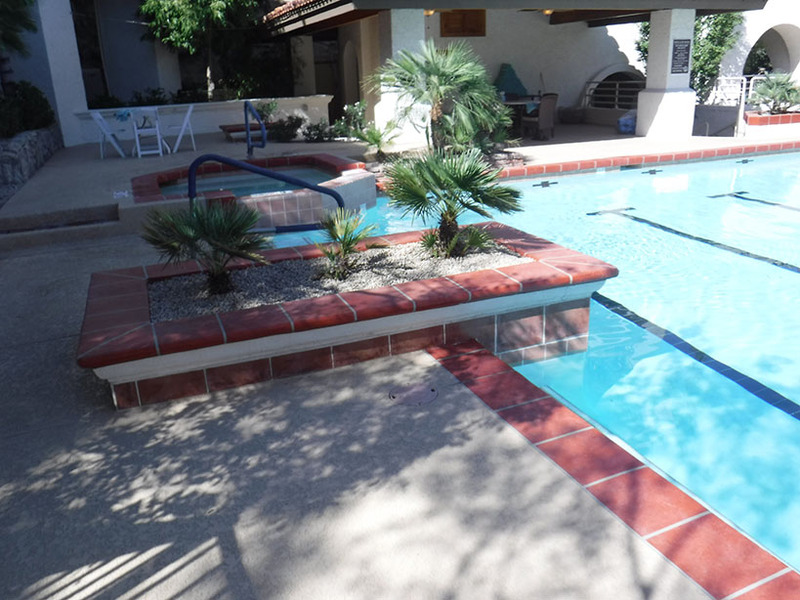 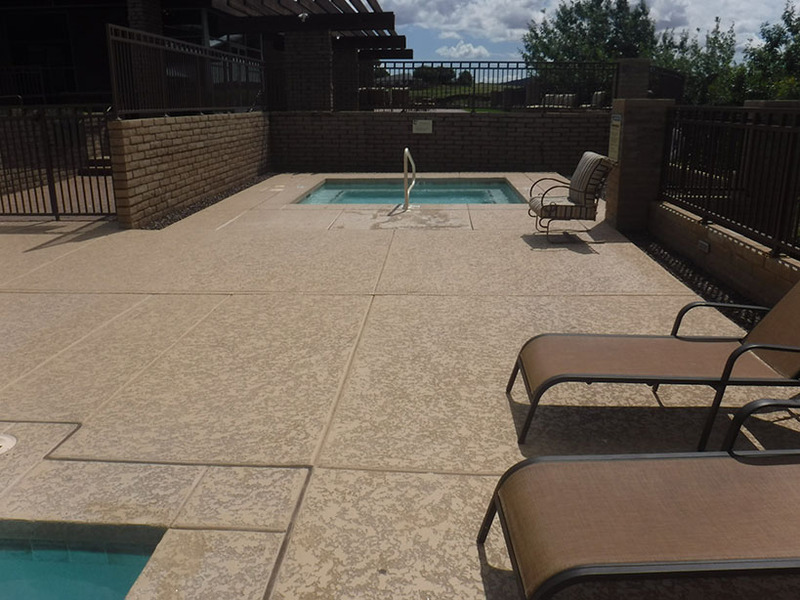 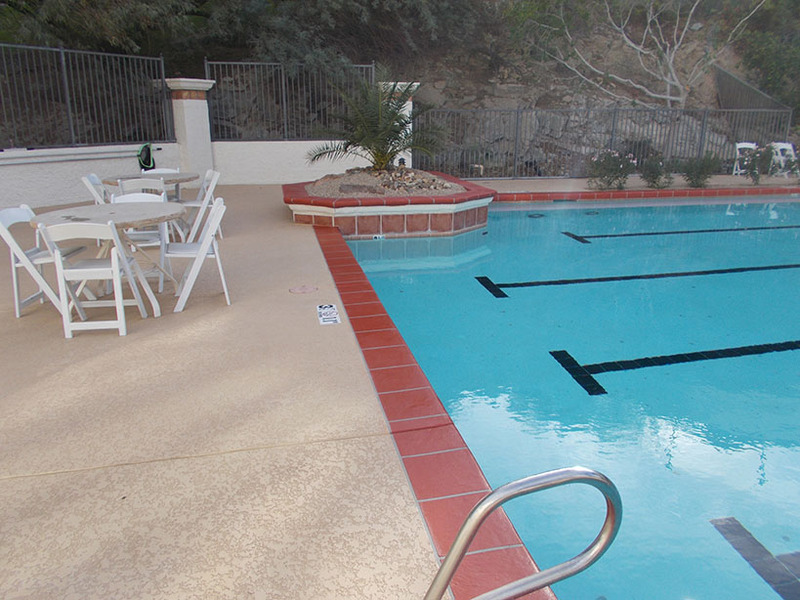 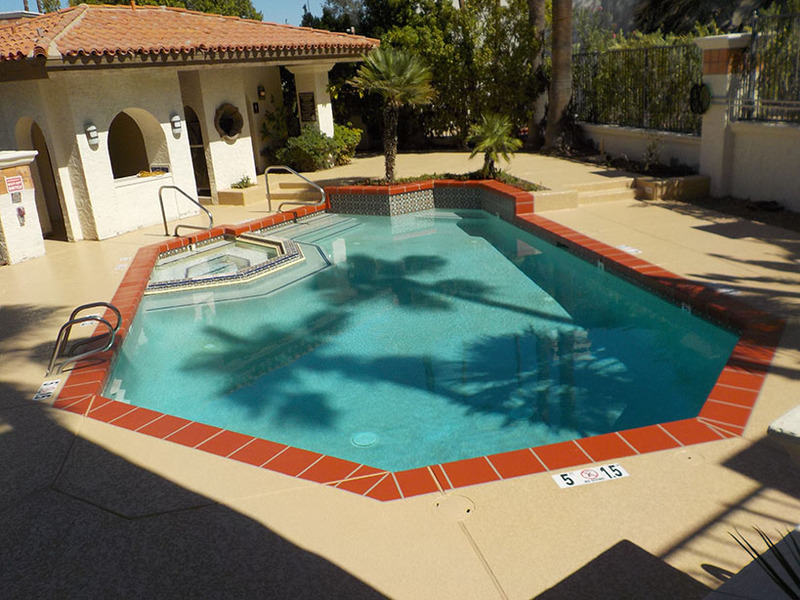 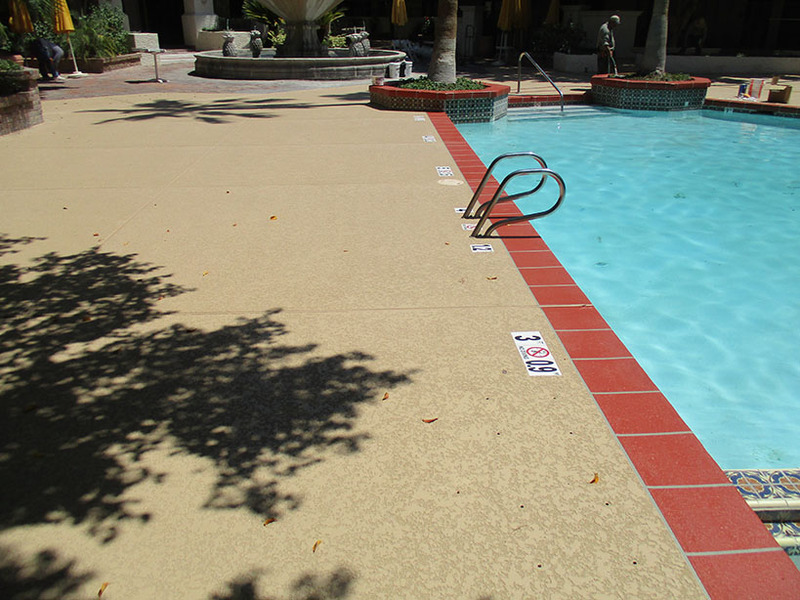 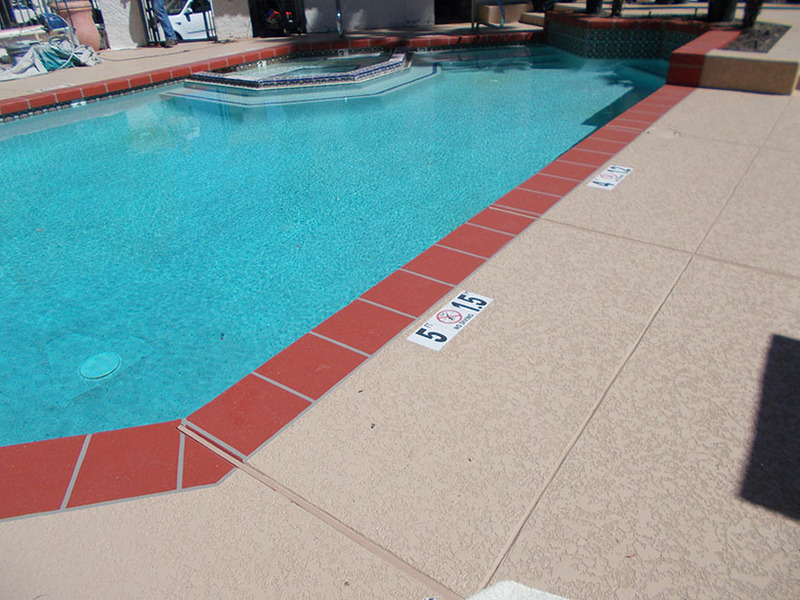 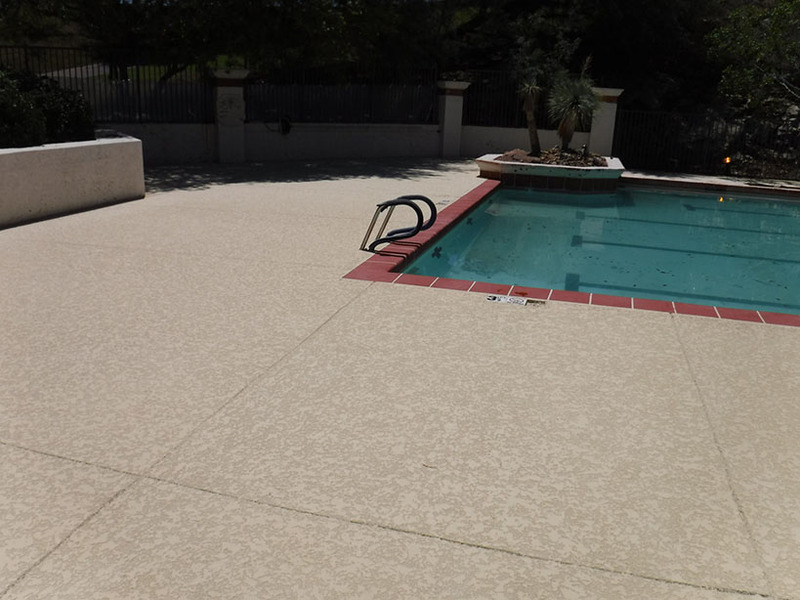 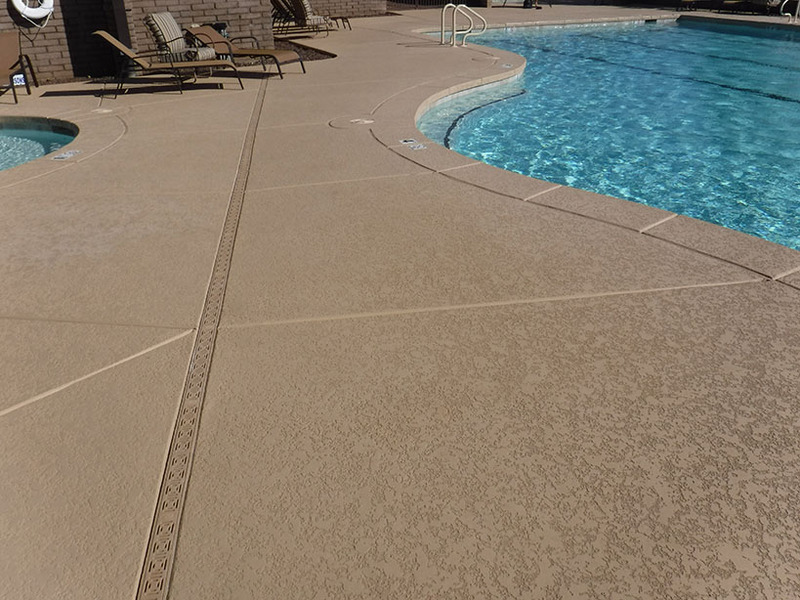 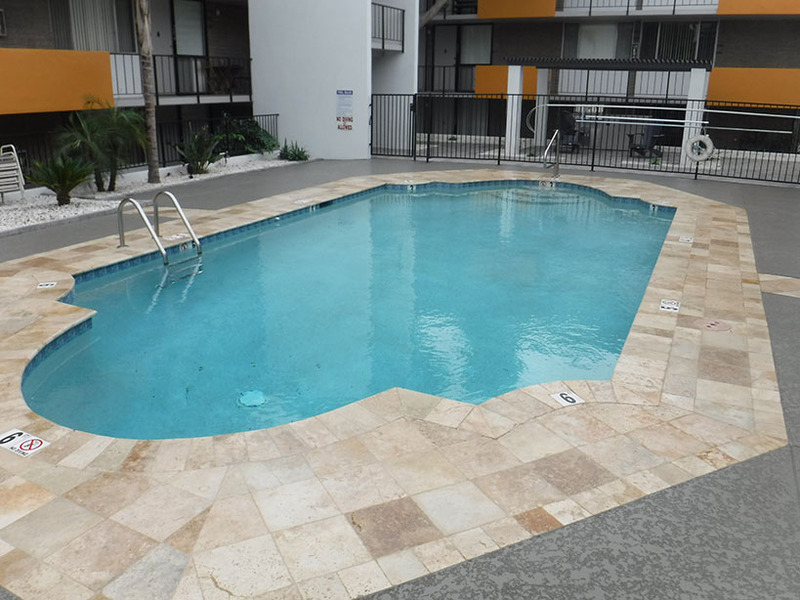 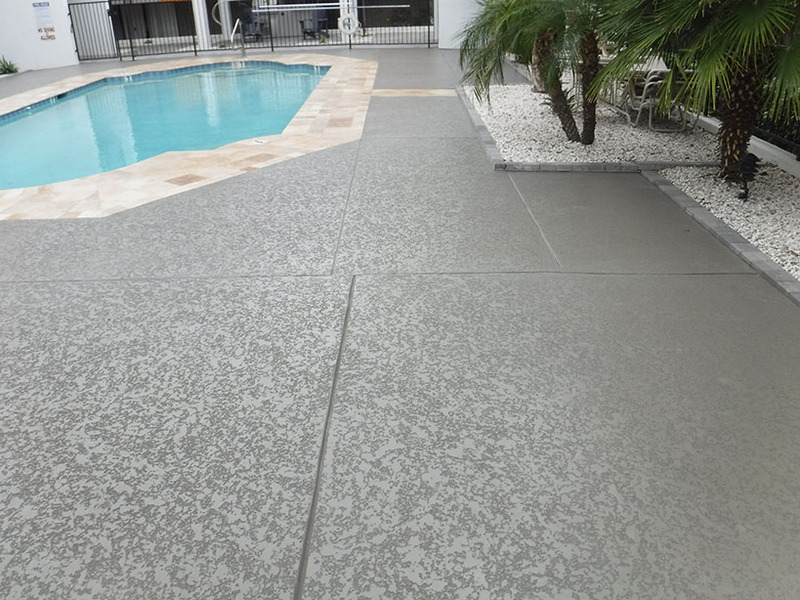 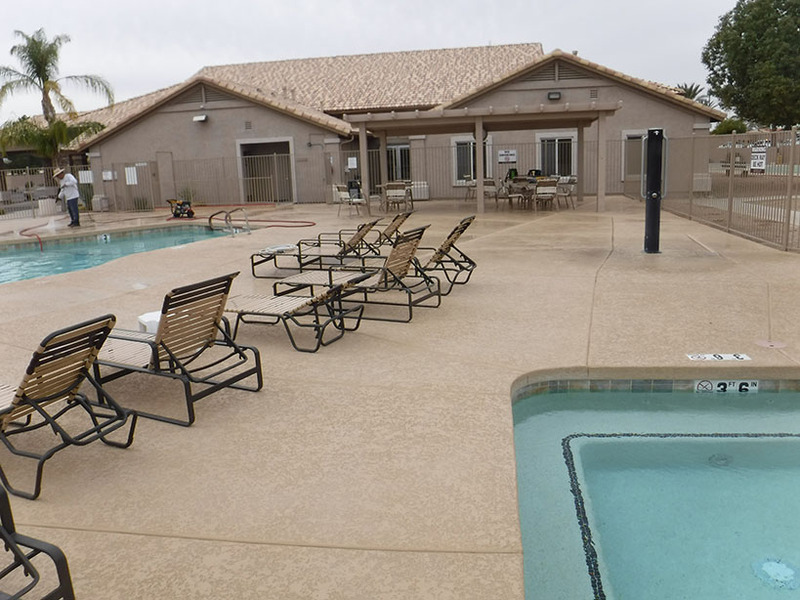 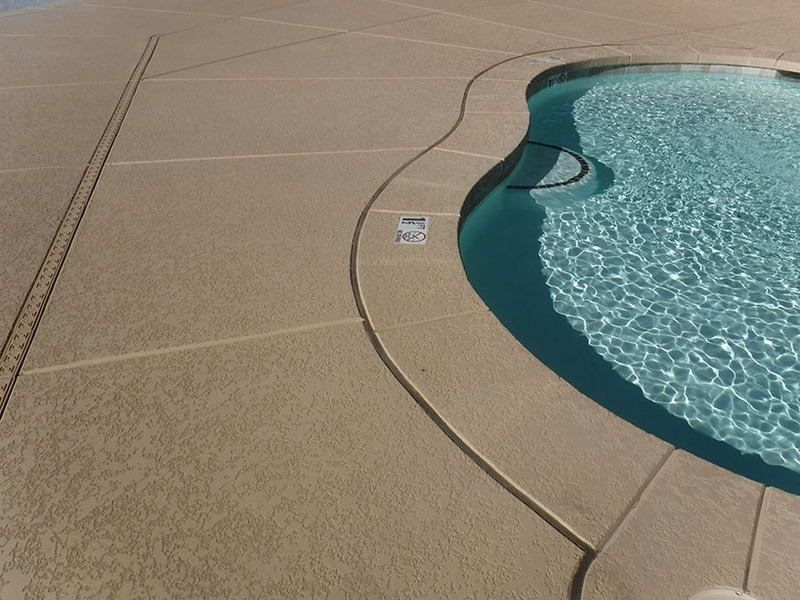 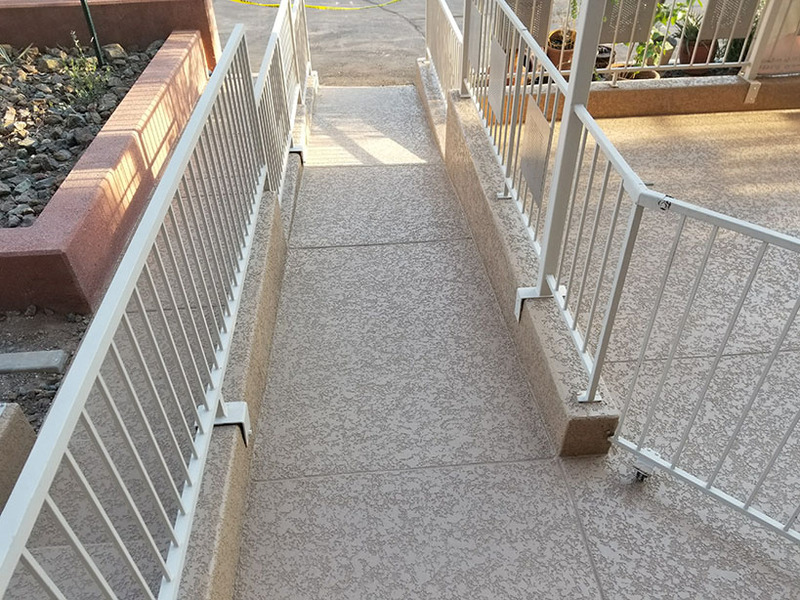 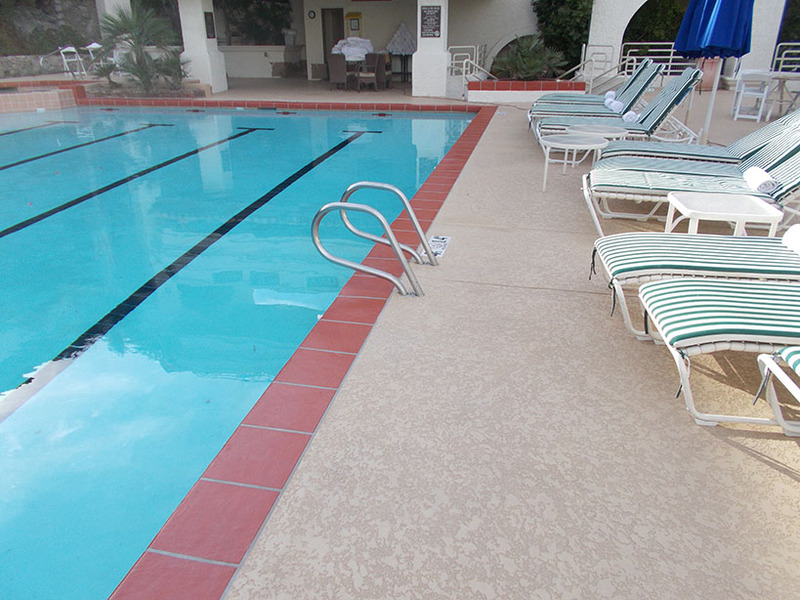 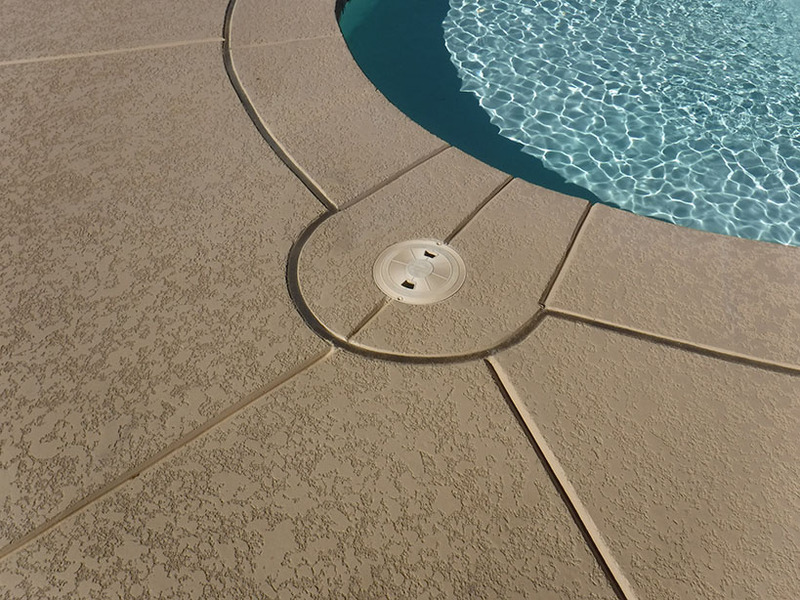 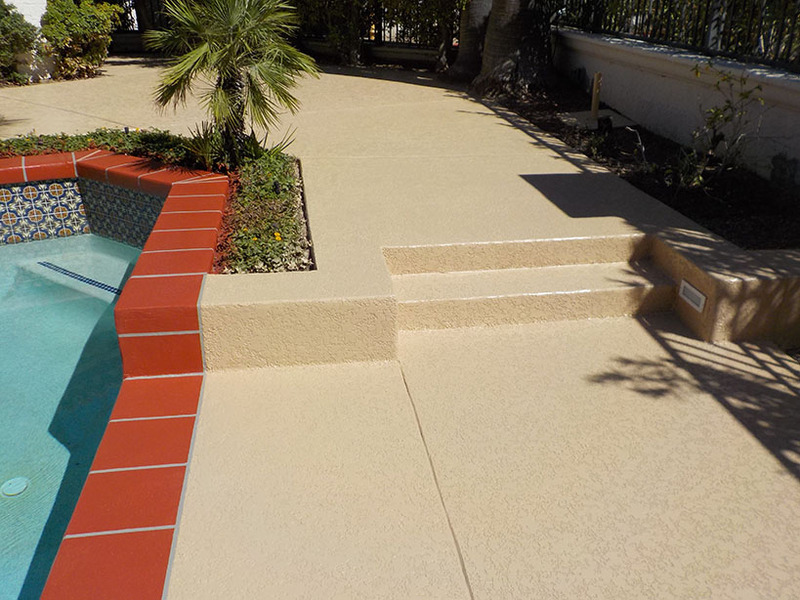 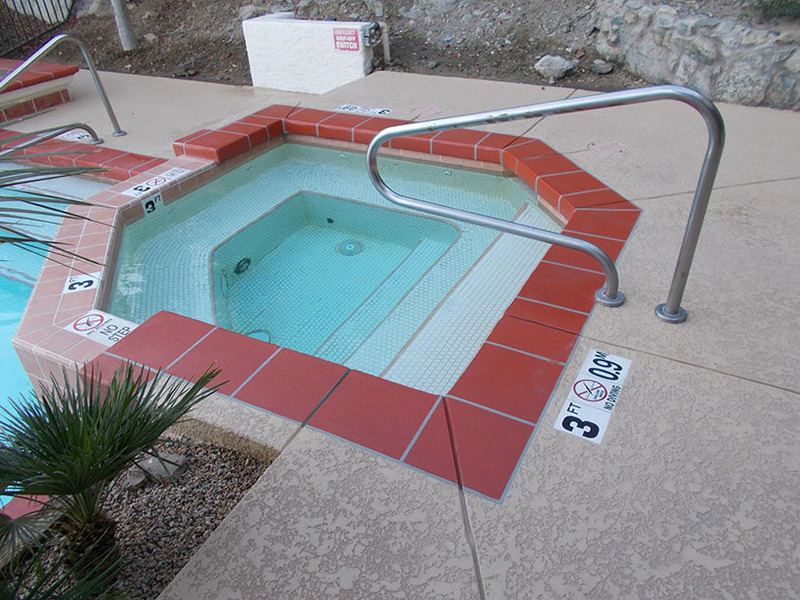 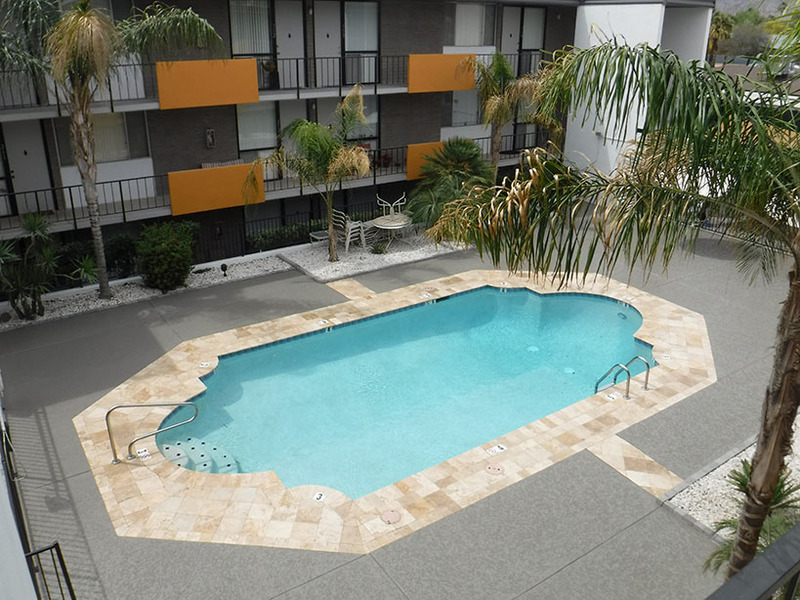 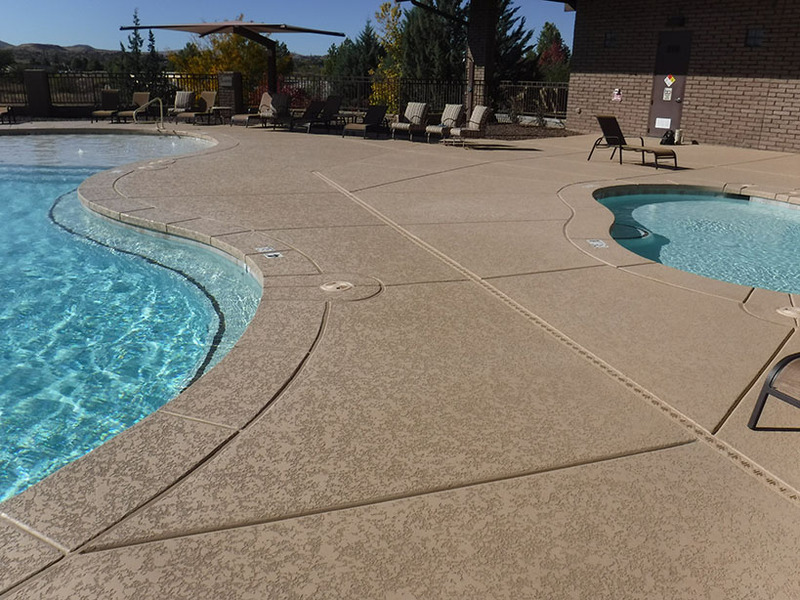 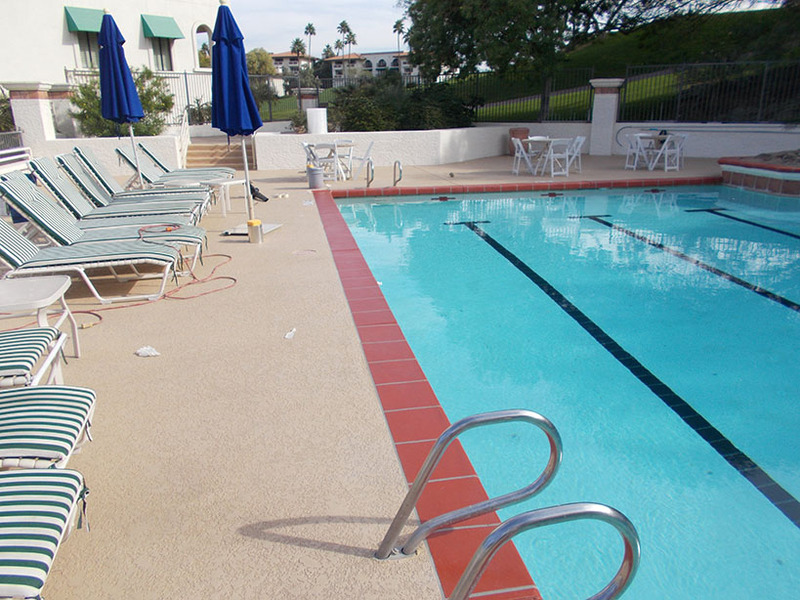 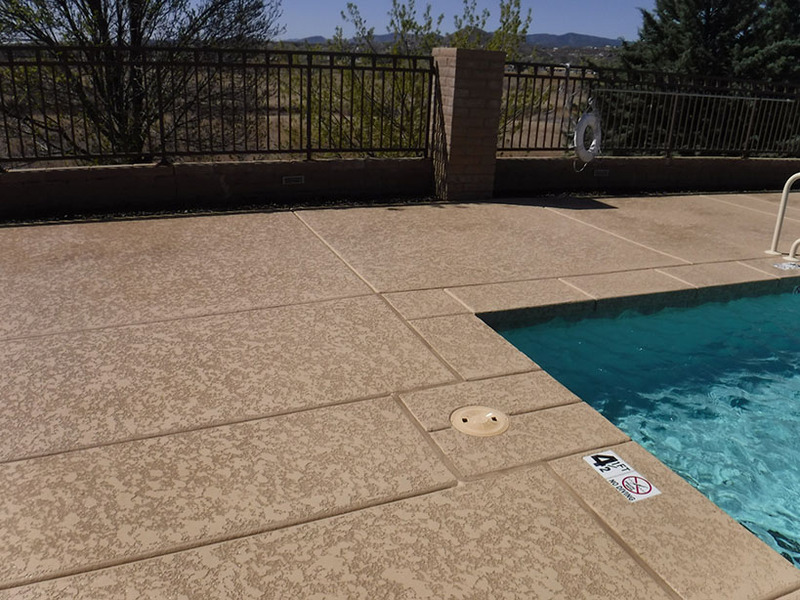 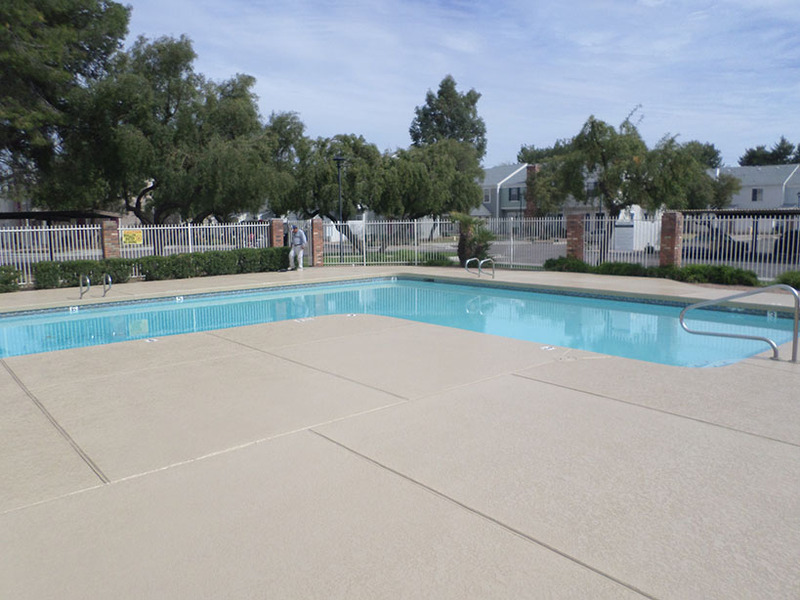 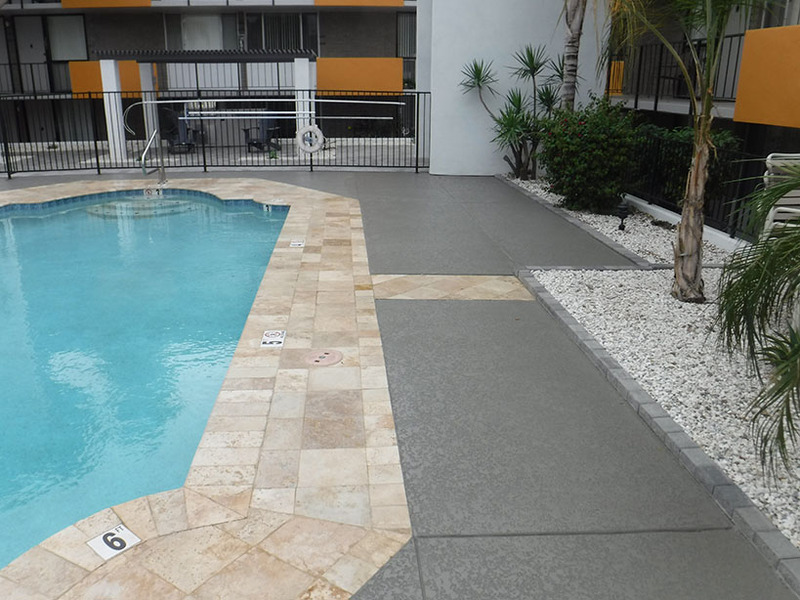 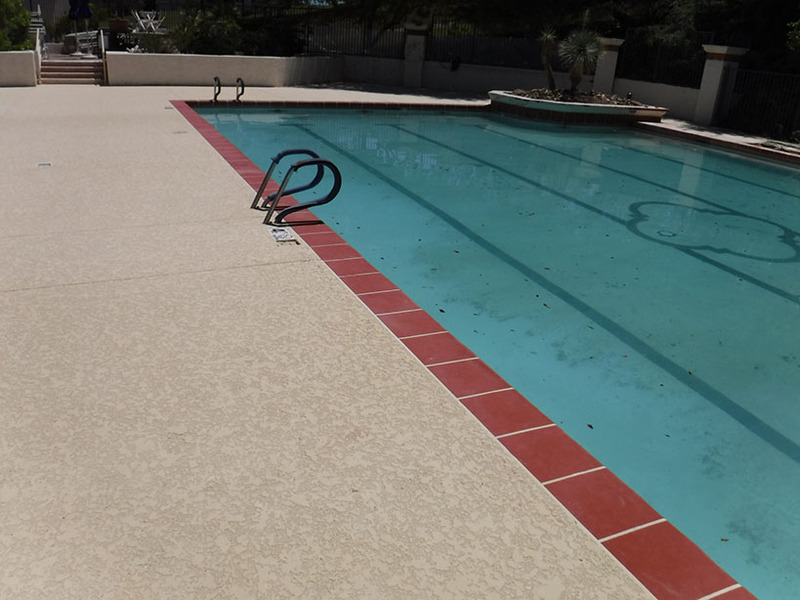 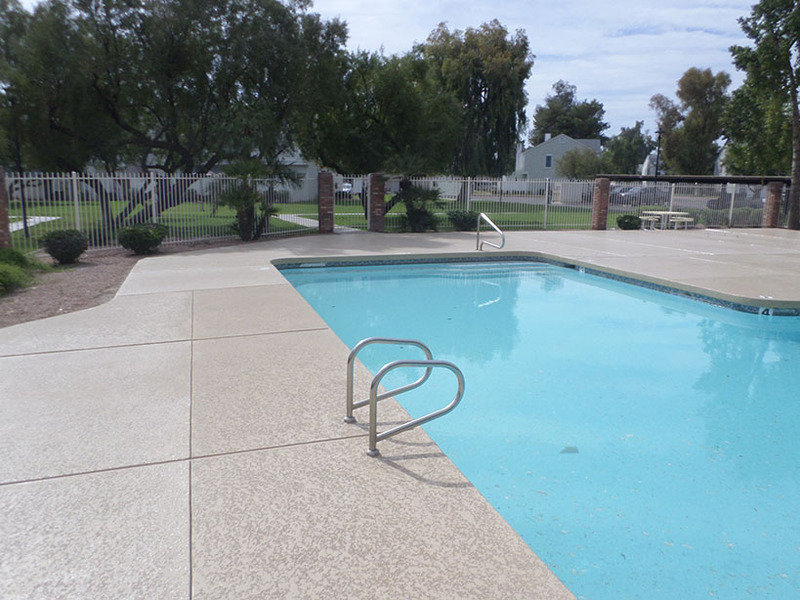 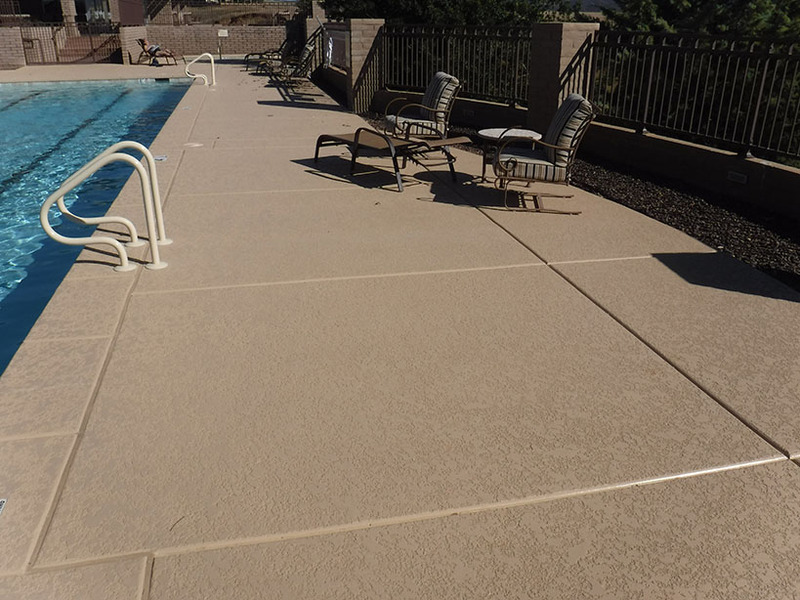 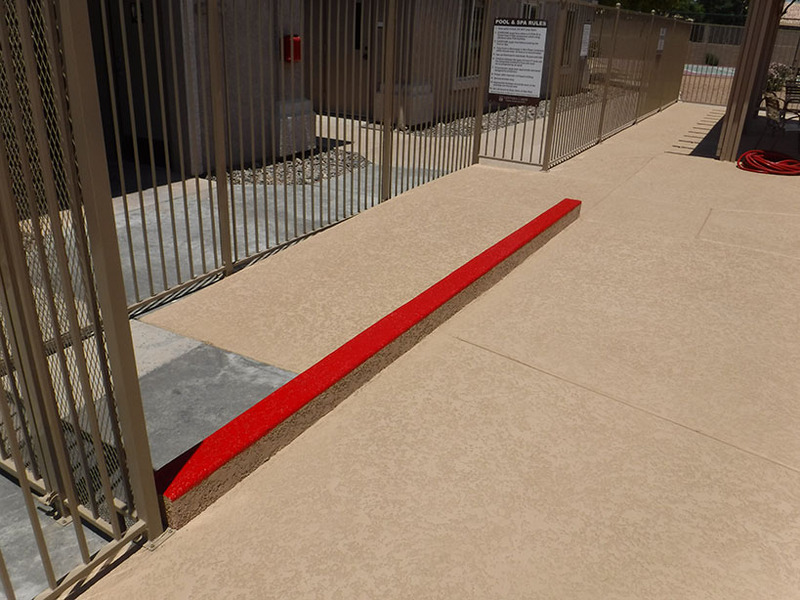 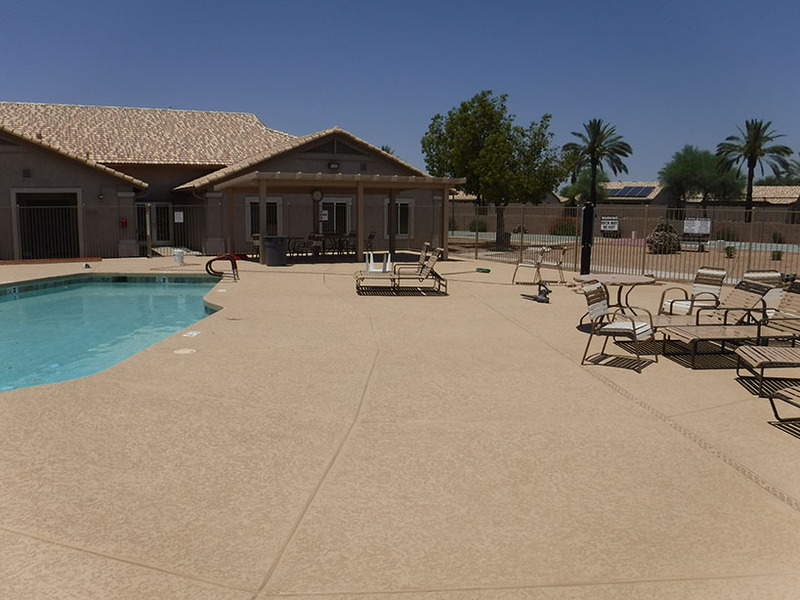 Our experience with upgrading and remodeling commercial pool decks, walkways, and patios is extensive. 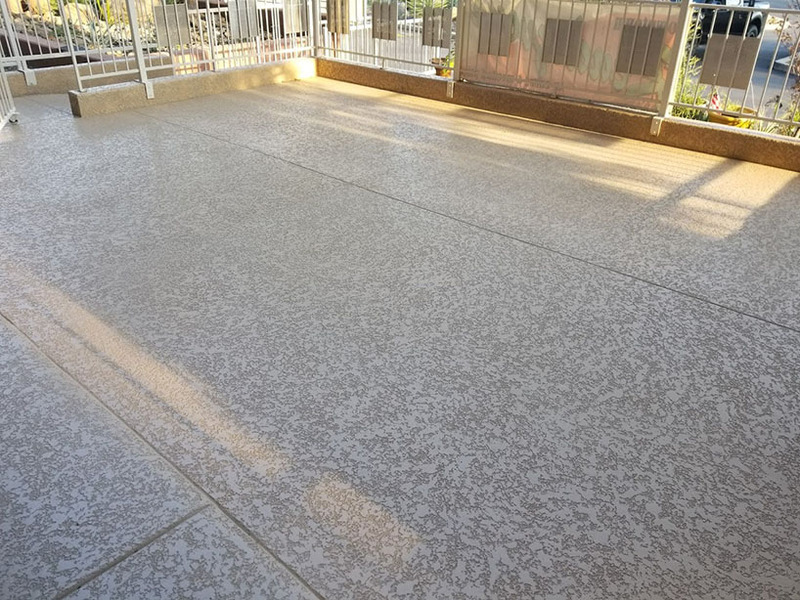 We are the premier decking company in the valley, receiving repeat business from commercial property managers year after year. 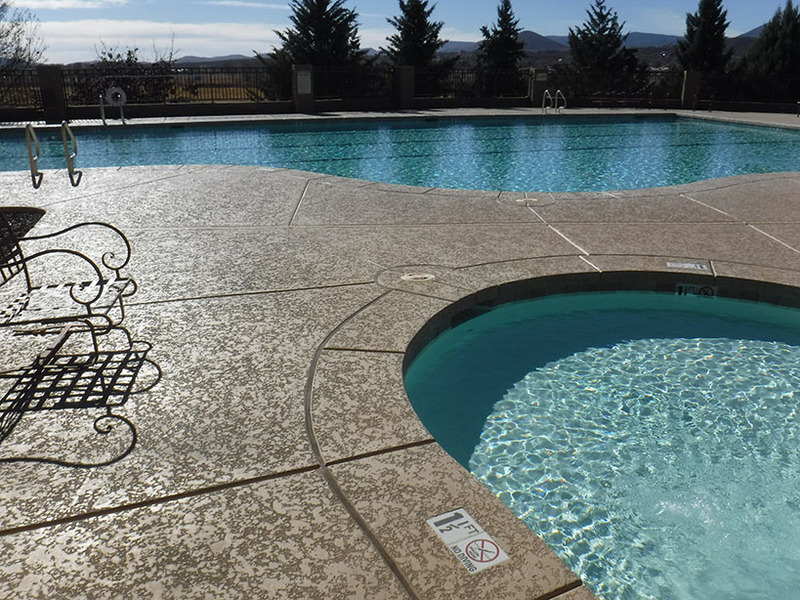 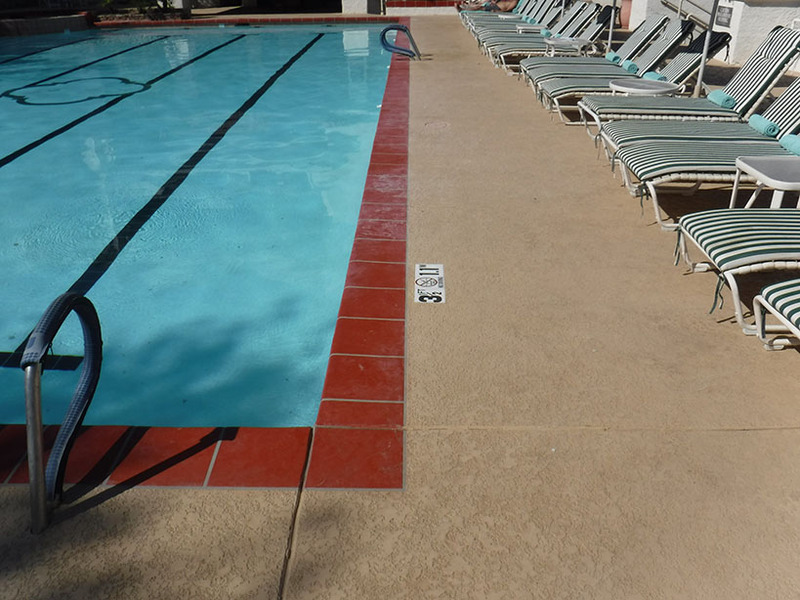 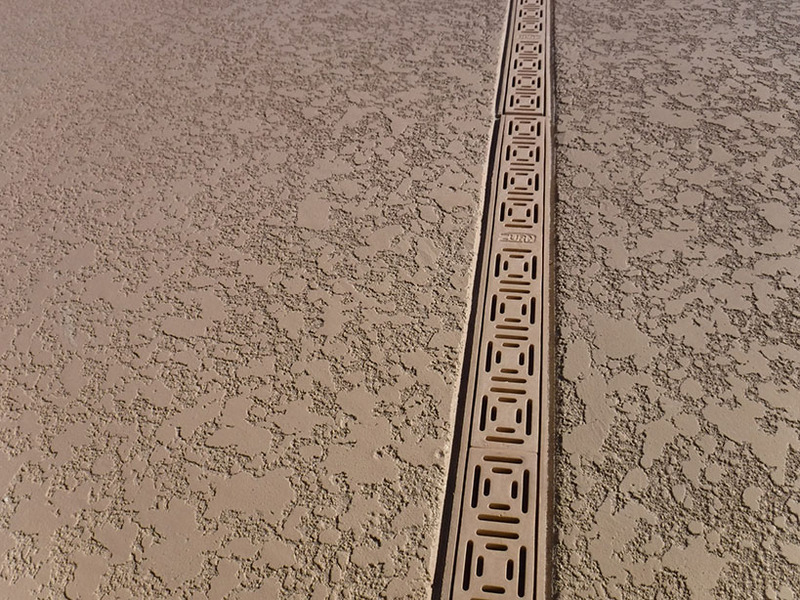 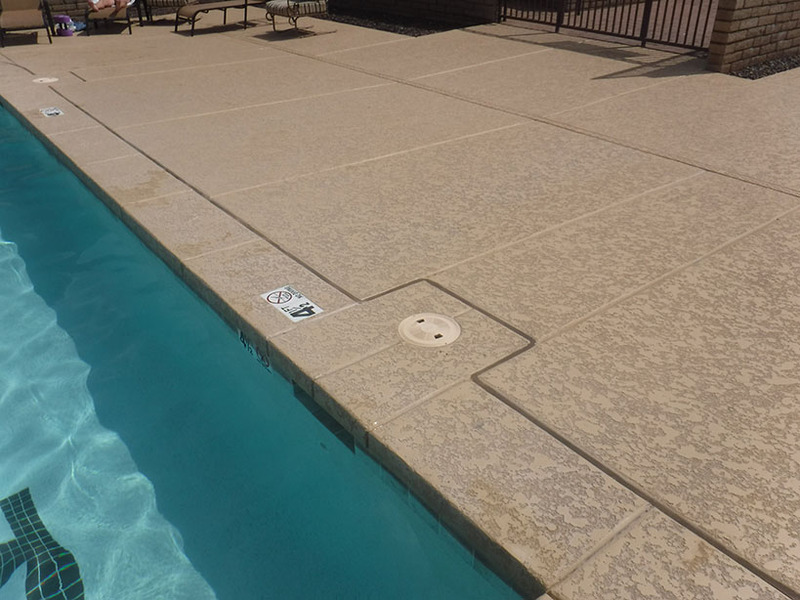 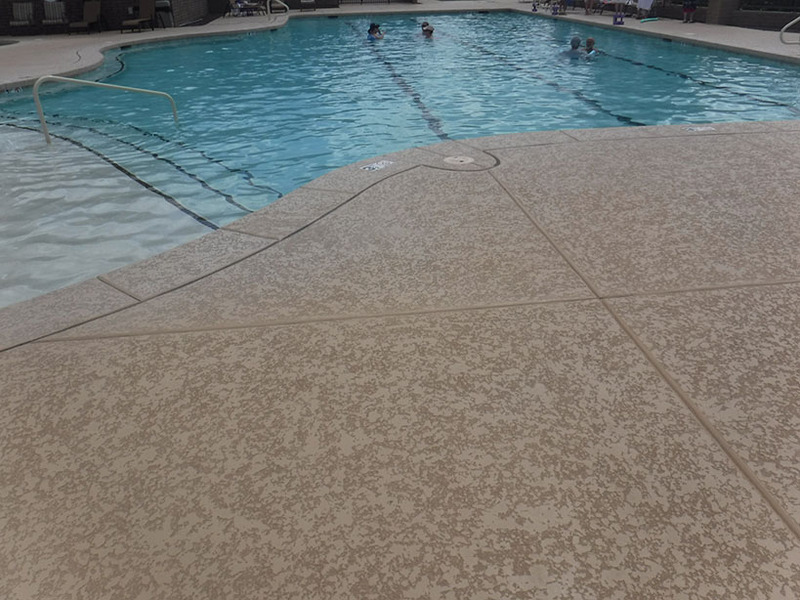 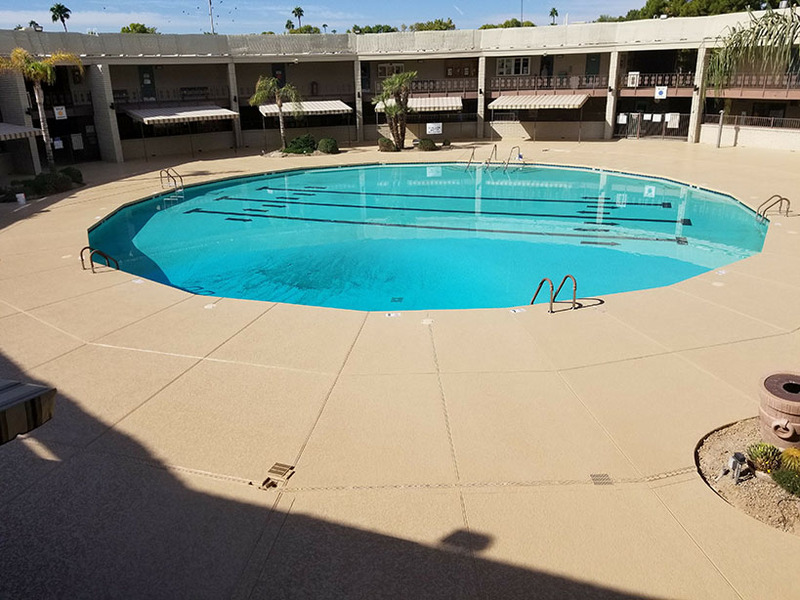 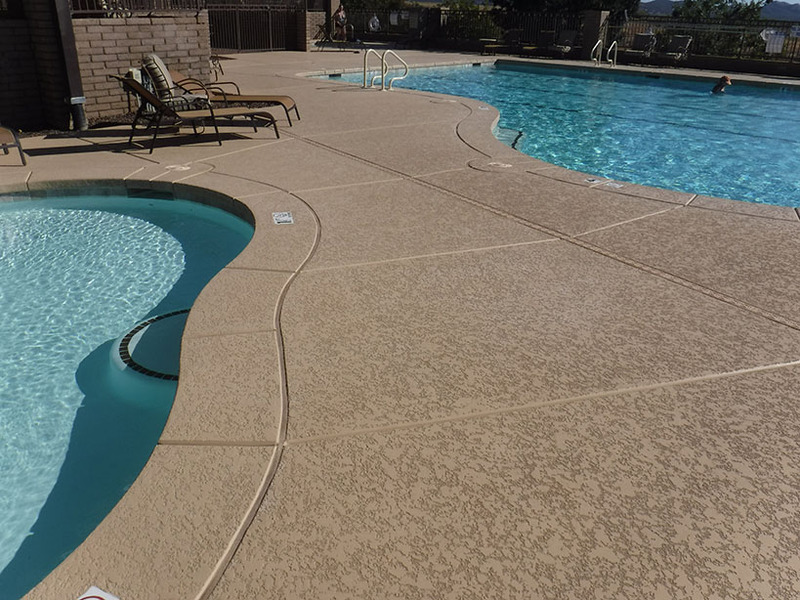 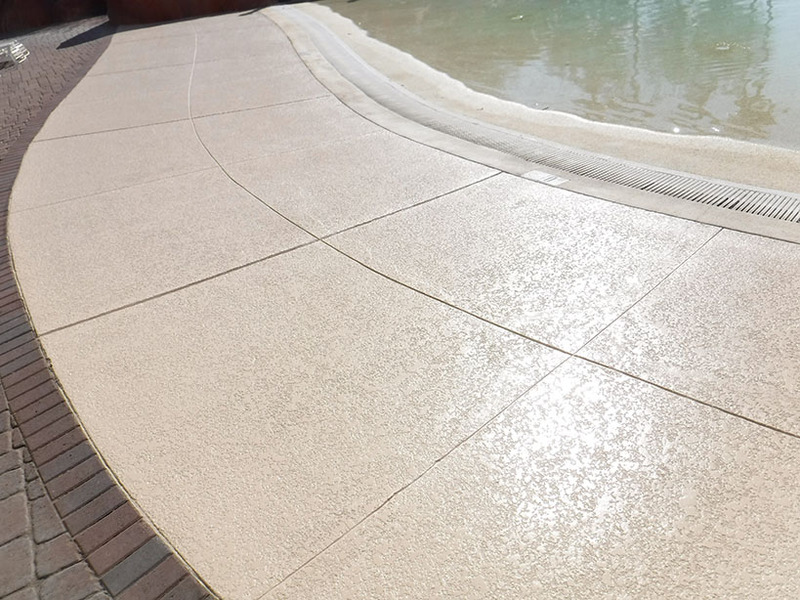 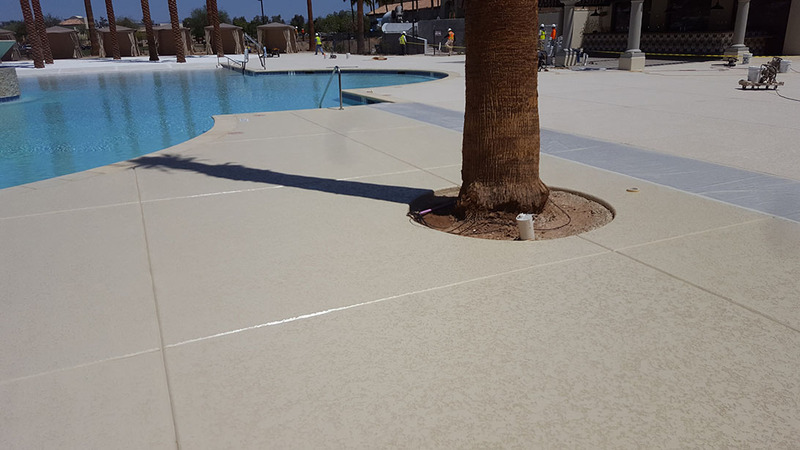 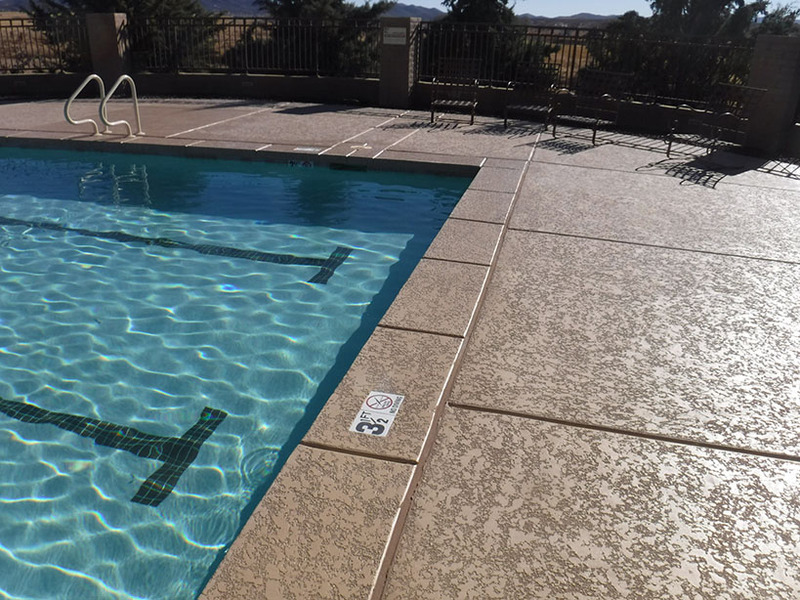 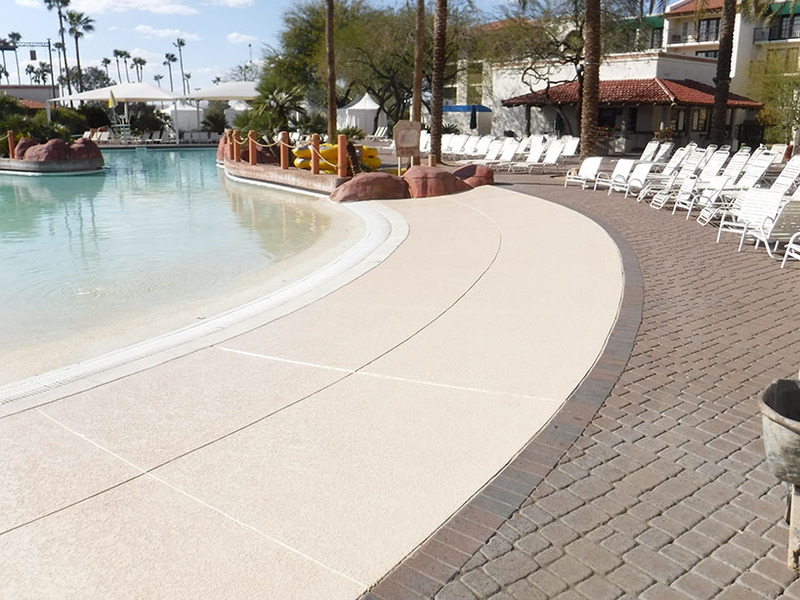 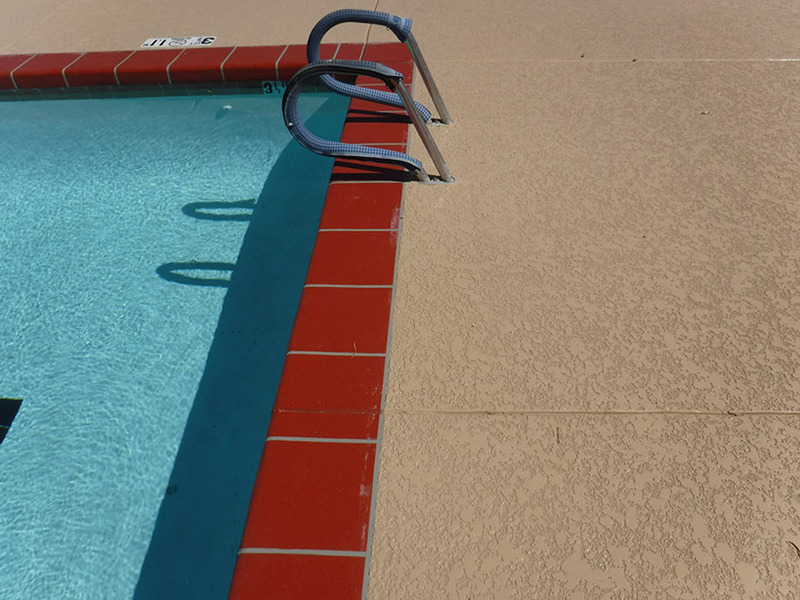 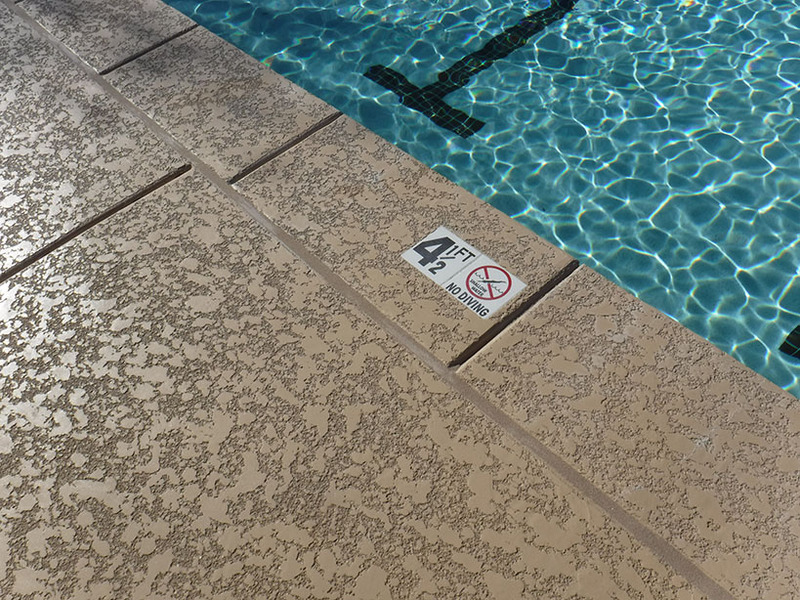 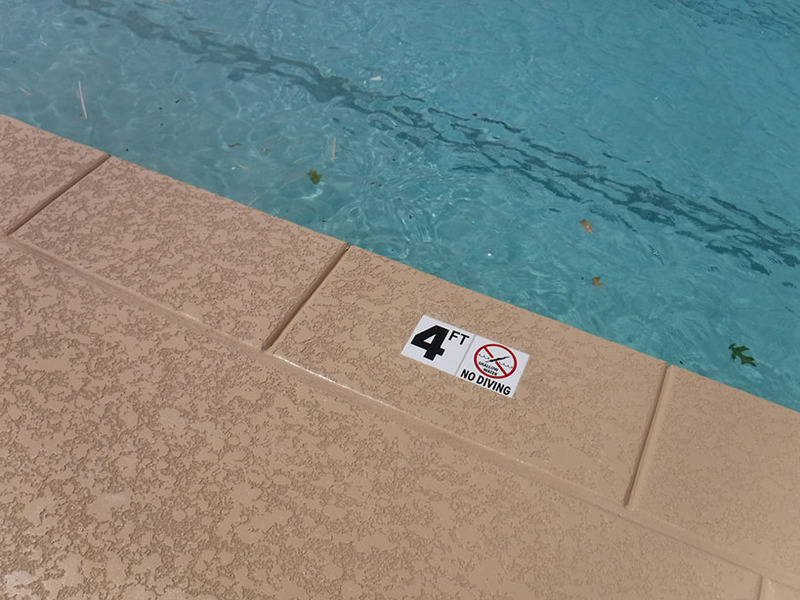 We stand apart from other pool deck companies by not only our commitment to detail and quality, but by offering commercial pool deck maintenance agreements on every commercial project we complete. 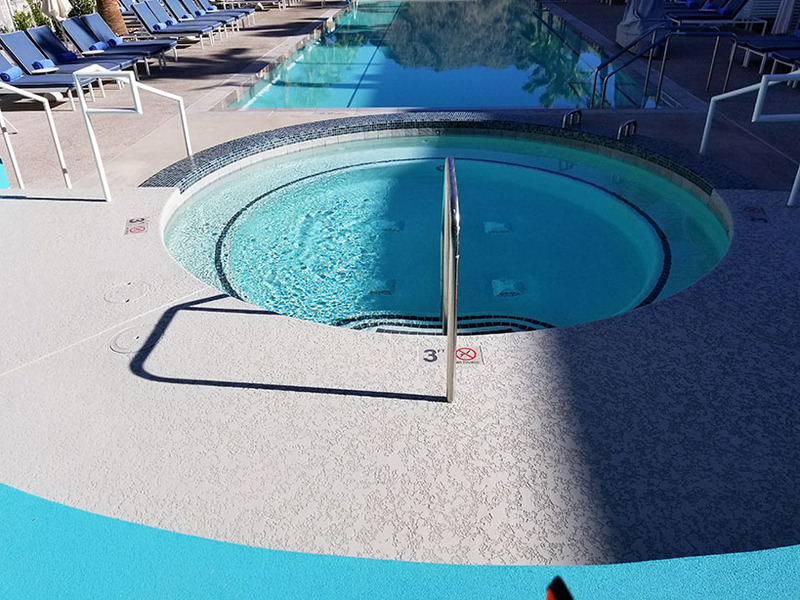 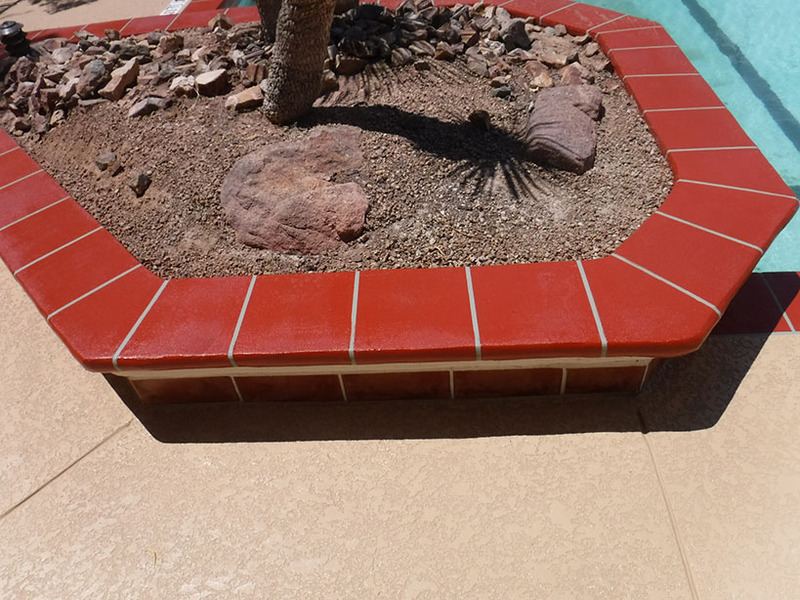 We send out our experienced crew to deep clean and repair minor issues 4 times a year to keep those high traffic pool decks looking new, longer. 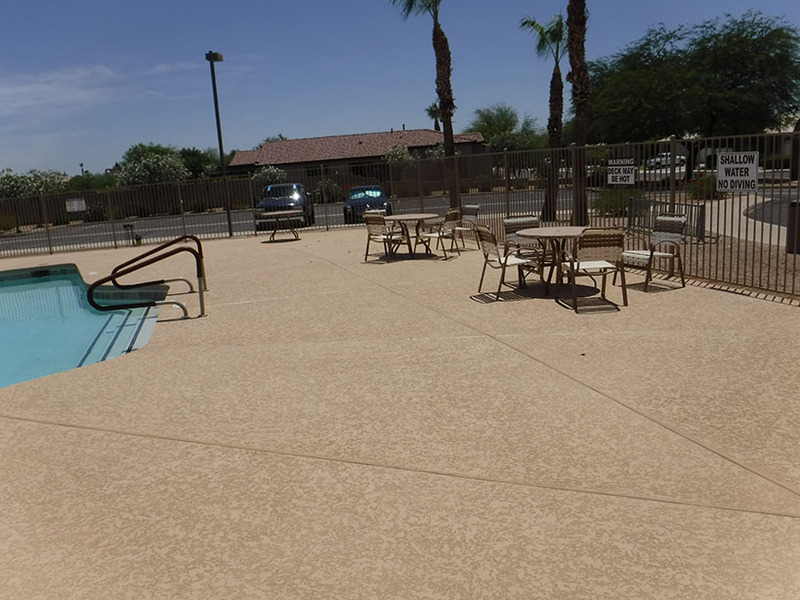 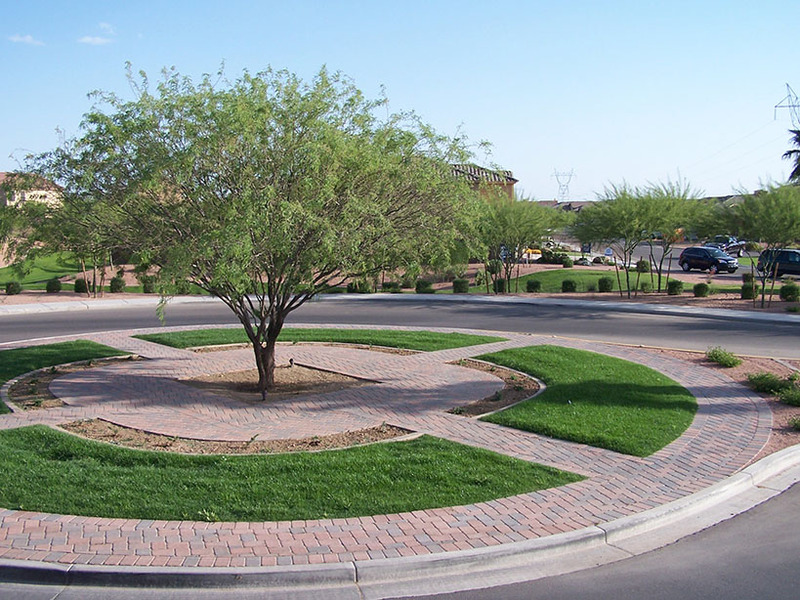 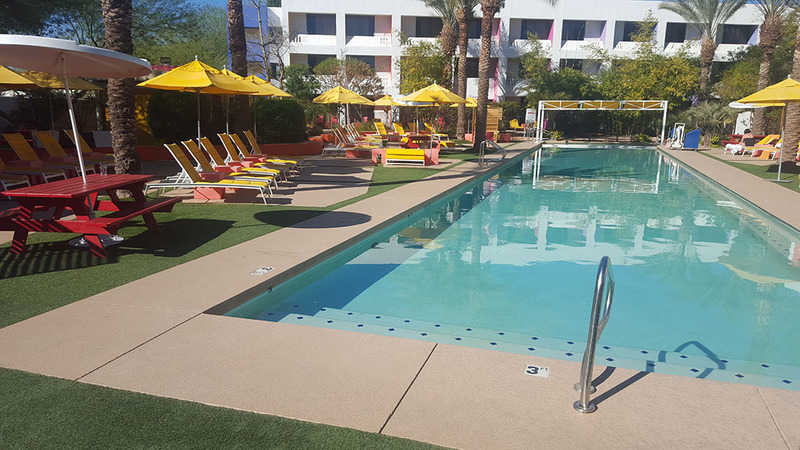 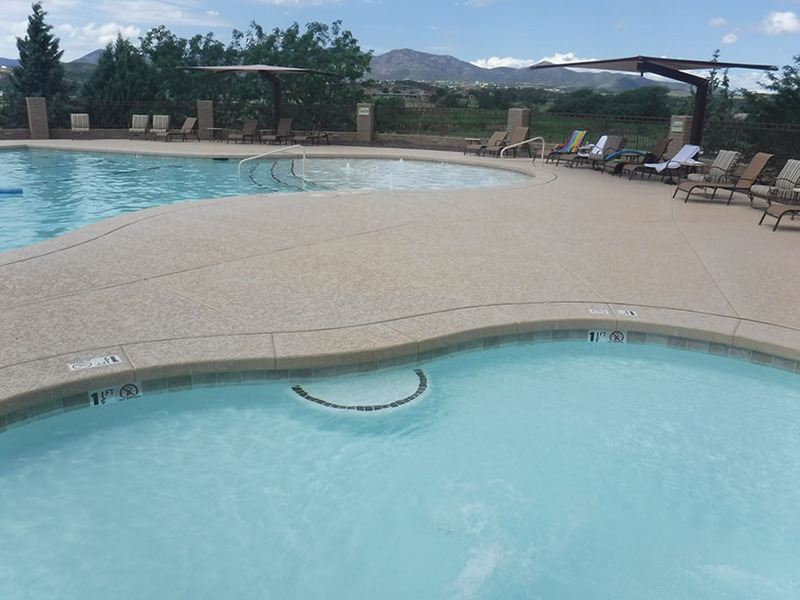 Whether your commercial project is for a valley resort swimming pool, an apartment complex outdoor community area, a local city outdoor space, or a gym, our team has the experience and vision to exceed your expectations. 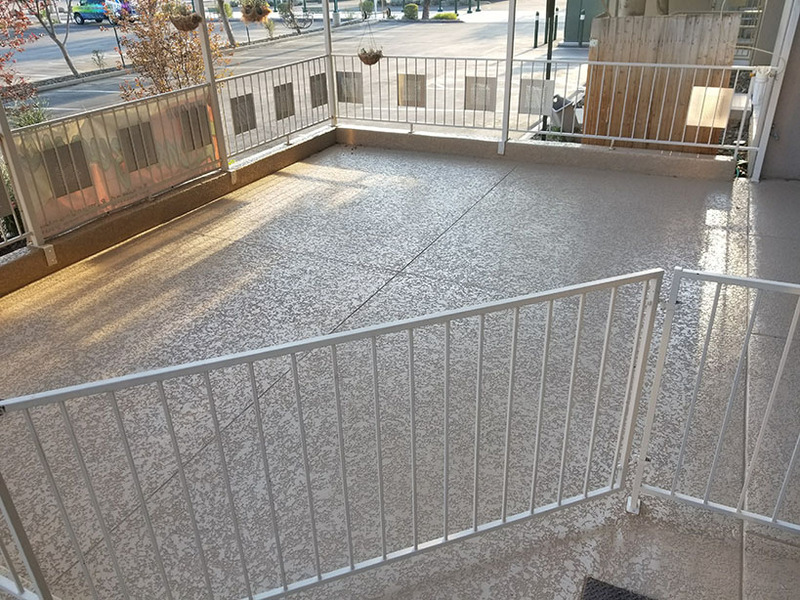 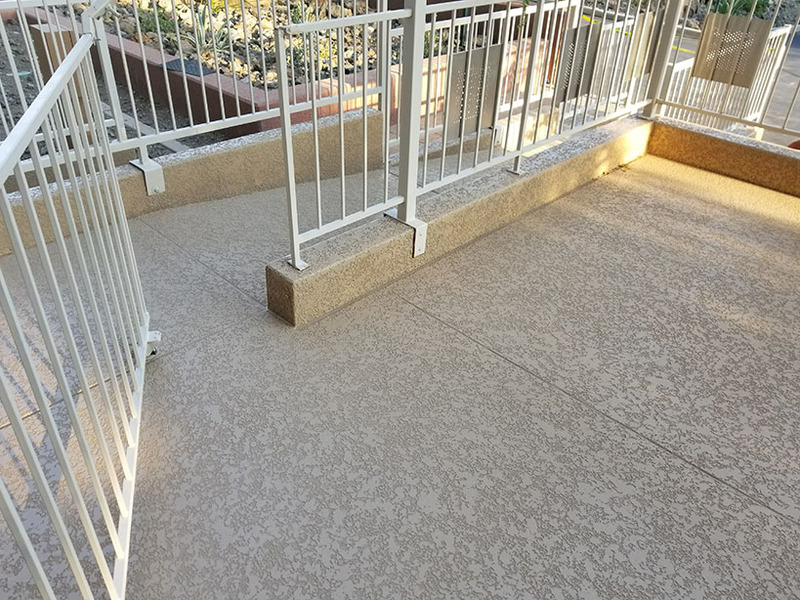 Contact us to talk to our dedicated commercial deck coating staff to ask any questions and set up a time for your project job walk.